This is one hell of an upgrade. The Xbox One Scorpio’s hardware was revealed today at last, and- Microsoft wasn’t lying when it said that it would be a beast. The Scorpio is a thorough step up over existing consoles, including not just the standard Xbox One and PS4, but Sony’s PS4 Pro as well, that make it a thoroughly alluring prospect. 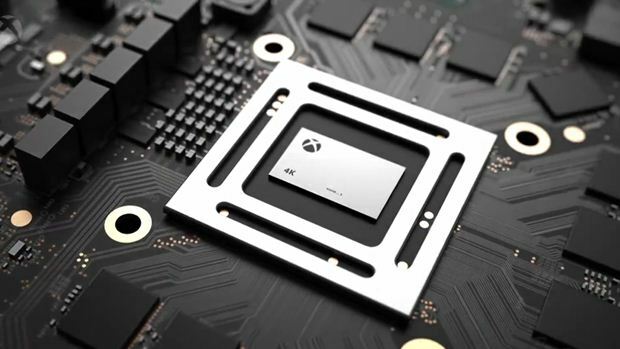 It’s the level of upgrade it provides over the standard Xbox One that is the most shocking to see- the improvements are holistic, but stand out the most in terms of the GPU (as Microsoft promised) and RAM. In terms of the former, we get an insanely powerful chip, exactly as we were promised-40 customized compute units at 1172MHz for Scorpio, versus 12 GCN compute units at 853MHz (the Xbox One S bumped these up to 912 MHz). That’s a massive overhaul- and thankfully, the rest of the machine largely keeps up. Take the memory, for instance- the Xbox One’s memory setup of 8GB DDR3 RAM with 32MB eSRAM has been replaced in favor of a unified, 12GB pool of GDDR5 memory. This is a roughly 150% gain available memory, yes, but equally important is the memory bandwidth- at 326GB/s, it is far beyond the 68GB/s bandwidth on the Xbox One, and even the 204GB/s bandwidth that the eSRAM provided. The weak link in all of this appears to be the CPU- details on that are a bit cagey, with Microsoft claiming it is a ‘custom’ CPU. Whatever it is, it has eight cores clocked at 2.3GHz, which is an improvement over the Xbox One’s 1.75GHz. It sounds like this is a slightly customized Jaguar- the upgrade seems to be rather modest on this front compared to the rest of the machine. Even so, the startling level of performance and improvements that the Scorpio is providing make for a killer machine in terms of specs. It will be fascinating to see how developers choose to tap the extra resources that this affords them.